You wake up to a beautiful day. You check the weather: yes, the sun is definitely staying up! Then, you check the skin pollution index of your location. At this point, you, the reader, might wonder what checking the skin pollution index is all about. Is it a dramatic scare-tactic to get you to care for the environment? There is nothing dramatic about skin pollution. It is a reality. According to a 2016 American Lung Association report, the air quality has continued to improve over the years. However, this has not prevented many US cities from suffering the “worst episodes of unhealthy air”. For instance, extreme weather conditions and changing climate can lead to unhealthy air quality. As far as chemical pollutants are concerned, your skin shields you against it. But when you are exposed to an abnormal concentration of pollutants, your skin can no longer protect you. Skin pollution can cause an acceleration in number of brown spots, increase in fine lines and a greater number of wrinkles. Air pollution causes you to age quicker, unless you take measures to keep your skin protected. 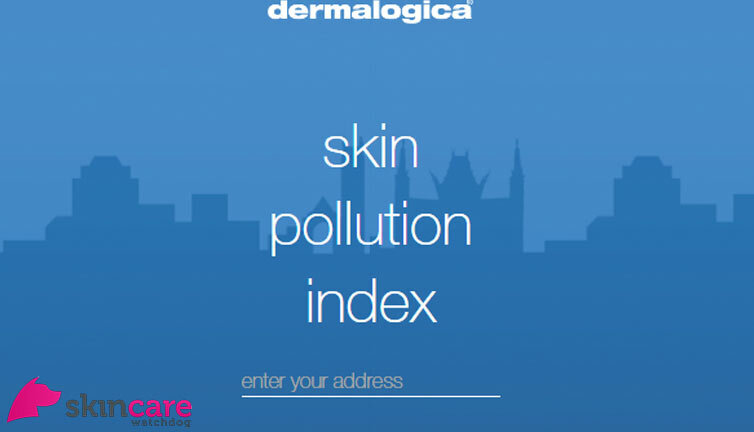 Checking on the skin pollution index of a location before you visit or where you live is now a just a click away thanks to the Skin Pollution App developed by BreezoMeter in collaboration with Dermatologica. BreezoMeter combines environmental awareness with data science, as they track real-time, dynamic location-based data. Dermatologica is an American skincare company “rooted in education”. The fruit of BreezoMeter and Dermatologica’s combined labor is evident in Skinpollution.com, that gives you the real-time skin pollution index of your location. When you go to Skinpollution.com, you are greeted by a clean and minimalist interface. The website asks you to type in the address of your location. Once you key in your address, it gives you the skin pollution index for the location. You are also given the dominant pollutant that contributes to the skin pollution index at your location. It could, for example, be ozone. Don’t know enough about it? They give you more information about the dominant pollutant too. But what do you do with this knowledge, other than cower in fear? Well, this is where Dermatologica lends a helping hand. You are given recommendations to protect your skin from the dominant pollutant. The Skin Pollution App is an amazing example of using data science for an extremely relevant cause. Protecting your skin goes a long way into delaying the pitfalls that are usually associated with old age: wrinkly, spotty skin. What more, outdoor pollutants, when absorbed by the skin, can lead to even graver repercussions: skin cancer, cell damage, Alzheimer’s and Parkinson’s disease. Skinpollution.com combines the efforts of big data scientists, environmental scientists and skincare professionals to generate data that is dynamic, and more importantly, relevant to each individual at their specific location. Skinpollution.com has been used by several US beauty stores to give direction to their clients on the effect of air pollution on their skin. The app has the potential to be just as useful to any individual. Cities like Los Angeles and Bakersfield, for instance, are known for having some of the most polluted air in the country. Checking the skin pollution index of your location, and being proactive about skincare might be almost as important as dressing for the weather. And Apps like Skinpollution.com make it possible.